At 22 years old, Ben and I were both waiting tables at a burger joint. All of that changed when Ben stumbled across a book on card counting and suggested I read it as well. Over the following seven years, Ben and I traveled all over North America taking casinos for nearly $1 Million. When we got tired of hitting the tables ourselves, we formed one of the largest teams in the history of blackjack, taking over $3 Million from casinos in just a few short years. 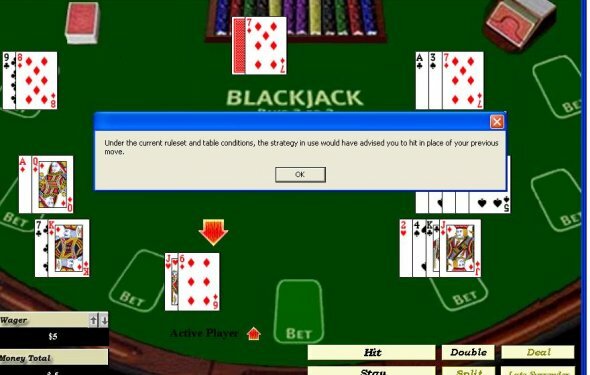 Since then our blackjack exploits have been featured in the New York Times, CNN, and NPR. We were also the subjects of an award winning documentary, “Holy Rollers: The True Story of Card Counting Christians.” We now teach others how to beat blackjack through card counting at www.blackjackapprenticeship.com. One of the most common misunderstandings about card counting is that people think you have to be a rocket scientist to beat blackjack. The math skills required of a card counter aren’t much greater than the skills of a bank teller. You need to be able to add, subtract, and divide. The rest is practice, practice, and more practice until you can do it perfectly. Here are the five steps someone needs to take to become a professional card counter. The first step to beating blackjack is memorizing basic strategy. Basic strategy is a chart of the proper playing decisions for all 300 possible hands. Memorizing the chart isn’t as hard as memorizing 300 possibilities, as many of the hands follow the same rule (like always splitting Aces, or never slitting 10’s). Being able to perfectly play basic strategy is essential, as it reduces the casino’s advantage to as small as possible. Counting cards is worthless if you don’t follow basic strategy. Once you have a solid foundation of perfect basic strategy, you need to learn how to count cards. With the Hi-Lo system, every 2, 3, 4, 5 or 6 is given the value of +1. Every 10, Jack, Queen, King or Ace is give the value of -1, while 7, 8 and 9 are given the value of 0. With every card that comes out of the shoe, you will update the “running count” by the value of the card that came out. The more positive the running count, the better. Conversely, the more negative the running count, the worse the game is for the player. After learning to perfectly play basic strategy while keeping track of the running count, it is time to learn how to calculate the true count so you can bet properly. Before each hand, you will need to divide the running count by the number of decks remaining to be played. Assuming you are playing a 6 deck shoe, if the dealer has dealt out 1 deck so far, then there are 5 decks remaining. If the running count is +10, then your “true count” is +2. A good rule of thumb for a beginner is to use at least a 1-6 bet spread. This means that if the true count is negative or zero, you will bet one unit. However, if the true count is positive, you will increase your bet by one unit for every positive true count (up to 6 units). A proficient card counter can have the advantage over the casino simply by playing basic strategy and implementing a winning bet spread from card counting. However, you can add to your advantage by implementing playing deviations. Playing deviations are times when you will not follow basic strategy. Basic strategy is based on the true count being zero. However, as the true count changes throughout each shoe, there are about 20 situations when it is better to deviate from basic strategy. These deviations will not only add to your advantage, but will also lower your risk. The final step to being a successful professional card counter comes down to how you handle yourself in the environment. Being able to play properly in a controlled environment isn’t the same thing as playing in a casino. You must have nerves of steel, trusting the math whether you are winning or losing. You also have to be able to handle conflict. Card counting is perfectly legal, but casinos also have the right to refuse service to anyone they want. A professional card counter will have to be comfortable with being asked to leave, even treated like a criminal at times. However, if you can handle the environment, master the skills, and put together a decent bankroll, there are literally hundreds of casinos in the US alone waiting to be beaten!